Now that the Frozen characters have been on Once Upon a Time for a while, the hullabaloo surrounding their appearances has died down. ABC is back to adding veteran—and dare I say more nefarious—characters from the Disney canon. 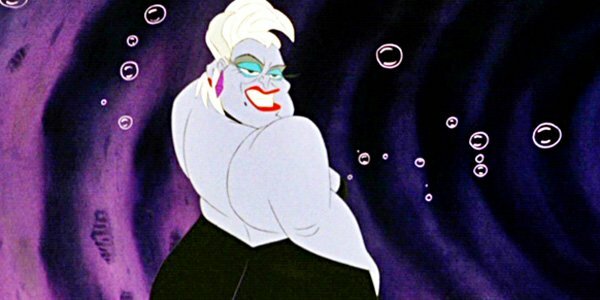 This week, the popular Sunday night drama signed on Merrin Dungey to play none other than The Little Mermaid’s Ursula. Merrin Dungey has popped up on a lot of TV programs over the years, but you probably know her best from Alias, where she played lead Sydney Bristow’s bestie, Francie, along with Francie’s villainous doppelganger Allison. She’s clearly already flexed her villain muscles in the past, and should be a good fit for the Disney character, who is set to pop up in the second half of Season 4. While early on, Once Upon a Time focused a bit more on fairy tale characters rather than Disney characters, ABC’s thinking has changed over time. Ursula is definitely a Disney-only character, as the sea witch in the original “The Little Mermaid” doesn’t roll with the name Ursula and is a bit different from the movie character we’ve grown to know and love. This isn't a huge issue, however. Disney’s over-the-top and grotesque version of the character is probably a lot of fun to play. Villains are a big deal on Once Upon a Time, and with the Frozen portion of this year’s storyline wrapping up next month, the show already has plans to bring in a few new characters. According to EW, True Blood’s Kristin Bauer van Straten is set to return to the show. We’ve seen her pop up on the drama several times in the past as Maleficent. Once Upon A Time has also added Victoria Smurfit as Cruella De Vil. The actress is expected to appear on the series sometime this season. This won’t be the first time that The Little Mermaid characters have popped up on Once Upon A Time. JoAnna Garcia Swisher has played Ariel on the show before, and the Ursula character was part of the plot during Ariel’s big Season 3 debut. At the time, she was voiced by Yvette Nicole Brown, and was part of a scheme enacted by the evil version of Regina. We expect the Little Mermaid plotlines to be no less convoluted this time around. New episodes of Once Upon a Time air over at ABC on Sunday nights at 8 p.m. ET.